The religious world can be a difficult setting for a film. It becomes instantly off putting to people as something that they can't or do not want to relate to. But the movement towards mainstream films for devout Christians in the past few years has shifted that mindset a bit, and there are many clamoring for films about faith. Personally, as a Morman Christian who grew up in Utah, I haven't been able to relate to any of the in your face God's Not Dead or Little Boy style angry Christian propaganda (I won't even begin to talk about Kirk Cameron's diatribes), and non of the Mormon cinema has really connected with me all all, feeling forced and false. I did find elements of Hacksaw Ridge that I could identify with, and Martin Scorsese's tragically underappreciated Silence really spoke to me. But the world of faith is both bigger and smaller than we sometimes think, and Menashe, the first film shot in the orthodox Jewish community of Borough Park in Brooklyn (as well as one of the only Yiddish language films in 70 years) , was a film that I could completely relate to and understand, despite the seemingly foreign setting. It's a film about religion and the world of the devout, though unlike the films mentioned above, God and one's relationship with Him is largely absent from the narrative. 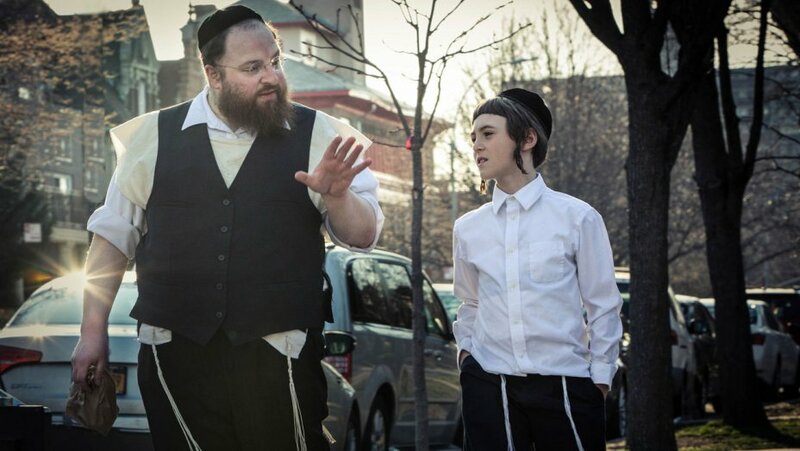 The film centers around Menashe (Menashe Lustig), a Hasidic Jew man who was recently widowed when his wife Leah passed away after an illness, leaving Menashe alone with his son Rievan (Ruben Niborski.). 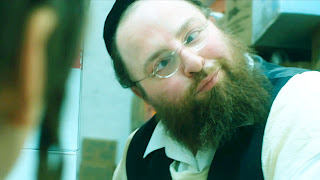 However, orthodox law, and Menashe's Rabbi (Meyer Schwartz) insist that a boy Reiven's age must be brought up in a traditional, proper, two parent home. Mesashe has been single for a year, and not only does he not seem to have any luck finding a new wife, he really isn't all that keen on doing so. Because of this, Rieven is being made to live with Leah's brother, Eizak (Yoel Weisahuss) and his family. Eizak is an overbearing and often very judgemental man who disapproves of everything about Mensahe, from his meager job at grocery store to choice not to wear a hat and coat everywhere. 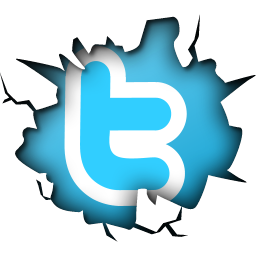 tries to gain custody of his ten-year-old son Rieven (Ruben Niborski). It seems that everyone in the community knows what's best for Menashe and has strong opinions about it, but all he wants is the chance to raise his own son. Director Joshua Z. Weinstein is largely a director of documentaries, and approaches the material with a similar focus of capturing reality and documenting the setting. He allows inside this different world in such a way that it really doesn't feel as different as one would expect, and the subtlety to his approach is quite marvelous. This is an extremely small film, devoid of any Hollywood touches, and that is entirely to it's benefit. The performances are effective and low key, and Lustig is particularly gives real and very average human protagonist that we simply we don't get in Hollywood films. It's a beautiful performance that should be remembered by the Academy, though it likely won't be. There's no question that the film has a lot to say about the way religion and the pious control the lives of those in their community, but it is neither a harsh nor necessarily an angry film. The Ruv (the Rabbi) is not portrayed as a callous despot: he cares about Menashe and stands up for him when he is being mistreated by brother in law. We may not agree with his decisions, nor may Mensahe, but the film does not try to villify or praise him for doing what he and the community perceive to be his job. 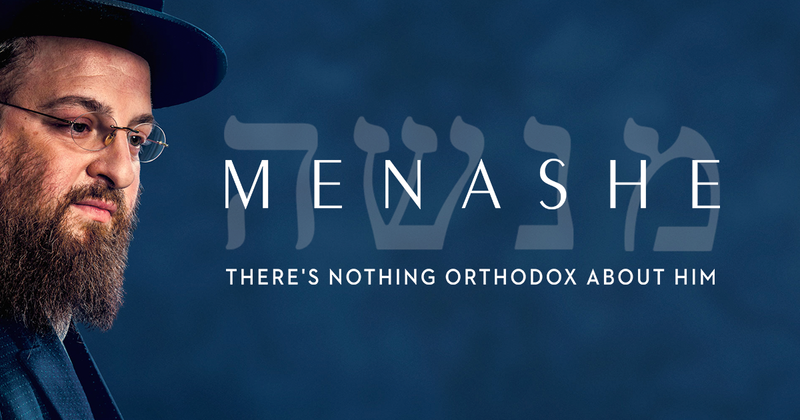 Menashe himself is quite stubborn and not indisputably in the right about anything except for convictions that he loves his son and that he has the right to raise him, though whether he is always making the best choices for Rieven is not always certain. That's not to say that the film doesn't leave you with strong opinions on the situation and who you are rooting for, but it avoids being an indictment of anyone, except perhaps for Eizak, but even he has one or two sympathetic moments..
A single man living in Utah's equivalent of a Hasidic community, it was not hard to relate to this character and his frustrations, and to the feeling of being judged. I could also, however, relate to the love and the sincerity of those who truly care about this man, even when they do so in ways that may not be in his best interest. This is a film about religion that raises questions without trying to tell you exactly what you should be thinking, and it's a very poignant character study. It's a beautiful and very effective film that shows that society is essentially the same regardless of what part of it you belong to, and that people in their hearts are all still just people.